That made sense, so this morning I played hooky from the Memorial Tournament (at 58th-ranked Muirfield Village Golf Club, Dublin, Ohio) and played a quick and pleasurable 18 at Minerva Lakes. My playing companions were Wei Over Par columnist and blogger Stephanie Wei and Sports Illustrated senior writer Gary Van Sickle. I should say at the outset that I am a very demanding critic of golf grounds. 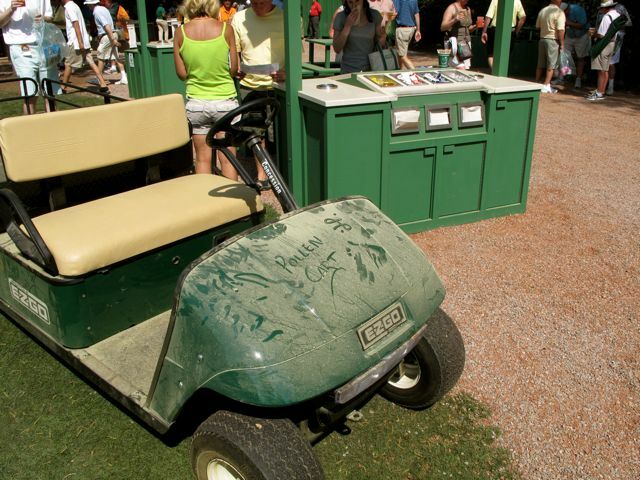 In past columns I have found fault with Pine Valley (“Too sandy”), Furnace Creek (“Too hot”) and Ft. Meade City Mobile Home Park Golf Course (“Too awful for words”). But I found Minerva Lakes to be better than its surprisingly high rating. Arboreally blessed and criss-crossed with not-too-penal creeks, the property takes full advantage of ravines, ridges and other natural features. Van Sickle, America’s most-decorated course rater and a former Top-50 staffer, found just the right words when he described Minerva Lakes as “not the goat ranch I was expecting. It’s a classic course that will make you think of A.W. Tillinghast or C.B. MacDonald. Short, but fun from start to finish. Terrific par 3s, too.” Wei was equally impressed, stopping from time to time to Snapchat with her social-media followers. So it pains me to report that Minerva Lake, which opened at 35 cents per round in 1931, will soon close for good, a victim of encroaching development. Three of the original holes were lopped off decades ago, and now the land is worth more as — well, as anything. Never mind that a teenage Jack Nicklaus shot a course-record 65 in 1957. So sad. Minerva Lake remains at No. 50 and will — by executive order — retain that position for the remainder of its existence. First, a confession. 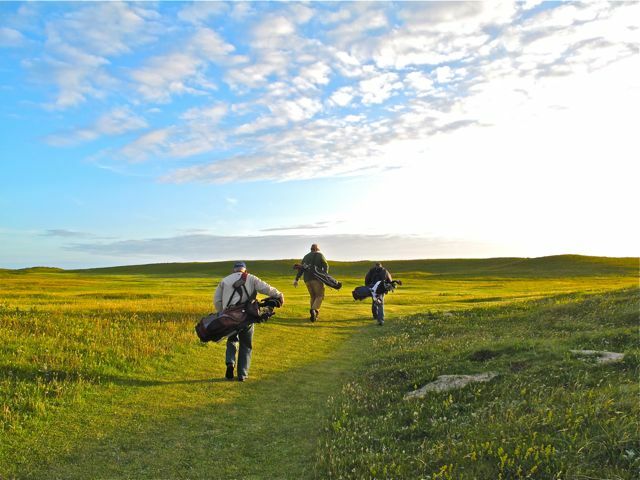 I have been telling friends (and foes) that my recent trek through Scotland and Ireland was a golf holiday. “Fourteen rounds in three weeks!” I say with a self-satisfied smirk, trying to leave the impression that I have nothing better to do with my post-retirement days than chase old-man Bogey up and down a Celtic shore. *The Company pledges to honor all legitimate claims for emergency room services, doctor visits and treatments for PTSD up to the state-mandated cap of fifty dollars per household. The Moroccan’s claim of 38 was pure hyperbole, but a quick glance at the current Top 50 [see sidebar] reveals no fewer than 16 courses of the British links variety. What’s more, ten of the remaining layouts either have the word “links” in their name or boast of links-style features in their designs — e.g., Pebble Beach, Fancourt, Sand Hills, and Medicine Hole. I have long argued that traditional links courses get the highest marks for one simple reason: They are better golf courses. But even I began to have doubts last year when Castle Stuart, a brand-new course on the banks of Scotland’s Moray Firth, debuted at No. 10. That was followed by another improbable leap (Kingsbarns to No. 40, pushing the Irish parkland gem, Druids Glen, into the second fifty) and a weird oscillation at No. 50, where Scotland’s Nairn and Ireland’s Donegal have been alternating every hour or so like one of those ballpark banner ads behind home plate. Was there a flaw in the Top 50 algorithm? Had a mole infiltrated our Catch Basin headquarters? Does Charlie Daniels play a mean fiddle? * Negotiations with Ryan Lawn and Tree have taken longer than expected, due to their lead agronomist’s insistence that sod cannot be laid over the hardwood floor in our TV room. The Course Designers’ flight at the Masters may not get as much attention as it used to, but what a leader board! Tiger Woods and Phil Mickelson share the lead at 6-under par heading into the weekend, and Tom Watson is three back after a second-round 74. Ernie Els survived the 36-hole cut despite a Friday afternoon run-in with Augusta National’s 15th hole; he’s at even-par and T21. The twist at the Masters, of course, is that the designers are ranked according to their golfing ability, not their design proficiency. That leads to amusing results. Top-ranked designer Ben Crenshaw (Sand Hills Golf Club, No. 19, Kapalua Plantation Course, No. 34) shot rounds of 77-78 and missed the cut by eight strokes. But Woods, who has yet to complete a golf course after three years in the design business, gets to play on the weekend. It may not be fair, but that’s what makes it fun. Top 50 on TV: The Course Designers’ Tournament is being played at Augusta National, No. 7, but the CBS cameras can’t get enough of the new Tom Fazio-designed Augusta National Practice Facility. The new range, which replaces a foreshortened lawn that ended in a 200-foot vertical net, is more than 400 yards long and lined with azaleas (reminiscent of my back yard). The short-game area, on the golf course side of the range, is roped for spectators and features white-sand bunkers and tournament-ready greens. I’ll review Fazio’s work in more detail in a subsequent post, but for this week only his Augusta National range cracks the Top 50 at No. 47, replacing Oakmont Country Club. Are Artificial Trees in Augusta’s Future? *The portability of pines is demonstrated annually on the National’s eleventh hole, where trees come and go with the nonchalance of guests at a high-end resort hotel. The downside of the pine is its propensity for shedding pollen in the spring. A single loblolly pine, according an Audubon-knock-off pamphlet I can’t put my hand on, can produce two to three kilograms of yellow powder overnight — enough to cover a fleet of rental cars. Bees carry some of this pollen to flowers, but the rest drifts up against curbs and doorsills or is inhaled by guileless visitors from the north. Relief is promised in the form of thunderstorms, which are expected to rumble through Augusta in the next hour or so. Until then, the Augusta National Golf Club’s No. 7 ranking is suspended (subject to review by the executive committee). Masters Field Too Strong for Tiger? I expect Tiger to blush and stammer, because nothing embarrasses him more than his oh-for-three record as a golf architect. Three years after he opened Tiger Woods Design in a blind mail drop outside a mall in Windermere, Fla., Woods has yet to cut a ribbon at a course opening. His Al Ruwaya course in Dubai is stalled, his Cliffs at High Carolina course remains hypothetical, and his Mexican clients have put off construction of their Punta Brava seaside course until they get assurances that they can build it with American labor. Should Tiger dare to answer my question, he’ll have to weigh the design credentials of a couple of dozen tournament players — many of whom have actually visited the courses they are credited with designing. He’ll have to give consideration to two-time Masters champion Bernhard Langer, who has put his stamp on some 17 courses on three continents. But Langer might not prevail in a design playoff with former Masters champs Raymond Floyd (Turnberry Isle Resort and Club, Aventura, Fla.) and Vijay Singh (The Water at Jumeirah Golf Estates, Dubai). And those two worthies would certainly meet their match in three-time Masters champion Tom Watson, whose Independence course at the Reunion Resort in Orlando, Fla., has drawn categorical praise from GOLF Magazine, Golf Digest and Golfweek. 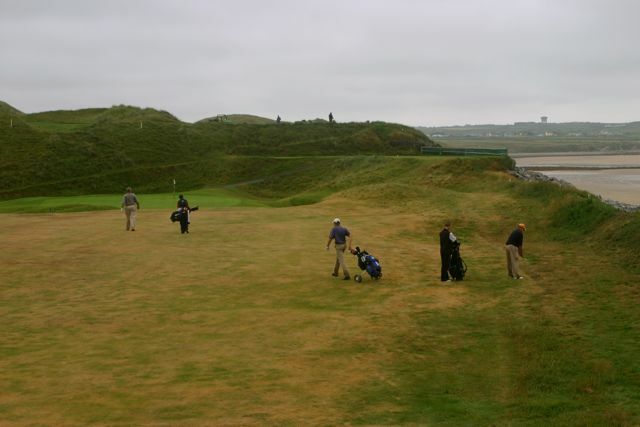 Watson showed what he’s made of when he agreed to renovate the marvelous Ballybunion Old in County Kerry, Ireland — a judicious tweaking that saw Ballybunion fall only three places, to No. 5, in the Top 50. Tiger may not see it my way, but what’s he going to do? Change the subject to his marriage? Top 50 on TV: The Nabisco Championship, the first major of the LPGA season, returns to the Mission Hills Tournament Course, No. 44. I’m very fond of this course, having sharpened my game on its eucalyptus-lined fairways during countless playing lessons with my West Coast swing guru, Rob Stanger. It lacks, I admit, the symbolic depth of Desmond Muirhead’s later work — such as his par-4 “Guernica” hole at the Segovia Golf Club in Chiyoda, Japan, which commemorates Picasso’s famous painting of a town savagely bombed during the Spanish Civil War. (“A dismembered foot and hand surround the green,” Muirhead wrote in his program notes, “a solitary eye glares at you from behind it. The teeing ground is elevated as a symbol of power for the golfer and to help to see clearly the horse’s head around the lake.”) I also think that Mission Hills, situated as it is in the desert, could use a few more water fountains. My vacations, of course, are of the working variety. I am typing this in the media center of the La Costa Resort & Spa in Carlsbad, Calif., site of this week’s LPGA Tour event, the KIA Classic. * If I can find time between my course-rating activities and my sideline as a free-lance dowser, I will file a game story to Sports Illustrated Golf Plus on Monday morning. *La Costa’s theater-style press room, with its digital video screens, multi-media work stations and ergonomically-correct executive chairs, is No. 5 in the most recent World Press Facility Ranking Presented by Frito-Lay. I would have to disagree with Ai on that point. The ocean cliffs of Torrey Pines are far more exposed than the condo canyons of La Costa, and the latter is lined with giant gum trees, to which the wind must inevitably stick. Conclusion: Torrey Pines is more difficult. More difficult, I shouldn’t have to add, does not mean better. Dan’s spirited rebuke is music to my ears! The whole point of the Top 50 is to get students of great golf design to come out of their shells and start squabbling like litigants on Judge Judy. If you were to visit us here at Catch Basin, you’d find Top 50 staffers shouting in hallways, hurling logoed caps at each other and throwing the occasional punch over the most arcane disagreements. Tempers flare because most of these disputes are, at their core, matters of individual taste. Are the greens at North Dakota’s Medicine Hole, No. 38, better than the greens at Augusta National, No. 7? I would say no — particularly during Masters week. But my assistant with the frayed knuckles asks: Better for whom? The average Badlands golfer will take four or five putts on Augusta’s 9th green — which, Omar will argue, is proof of faulty design. Similarly, there are those who, like Dan B, wonder how a midwestern muni like Swope Memorial, No. 45, can topple a legendary layout like The Country Club. We are all prey to this “we know who or what is best” attitude. It’s the same conventional wisdom that told us that a 20-year-old American street urchin named Francis Ouimet couldn’t possibly outplay the British golf titans Harry Vardon and Ted Ray for the 1913 U.S. Open title. It was as simple and straightforward a golf course as nature could devise, uncomplicated by fancy architectural notions. An intermittent sort of stream with trees guarded the first green, and another stream in a steep-walled valley, with a spread of swamp to the right, had to be crossed on the one-shotter, No. 4. … The fairways were good enough, and the rough wasn’t particularly rough, though the putting surfaces never seemed adequate and we were forever complaining about them. Withal, they were not to be despised as excuses. ‘You know how those greens are,’ you could tell your friends. That sounds a lot like the Swope Memorial I play on my senior-discount, weekdays-and-weekend-afternoons annual pass — particularly that passage about a “steep-walled valley with a spread of swamp,” a spot I seem to find with some regularity. The greens, of course, have improved greatly since Keeler’s time, though they may not be as “sophisticated” as those at The Country Club. *The Latin words Ultima Thule, in medieval geographies, denoted any distant place beyond the boundaries of the known world. The term was later appropriated by the Swedish Viking-rock band, Ultima Thule, which sold one certified platinum and three gold albums in the 1990s. **From O.B. Keeler’s The Autobiography of an Average Golfer, Greenberg, 1925. *Golfweek’s latest course ranking (3-12-10) has The Country Club at No. 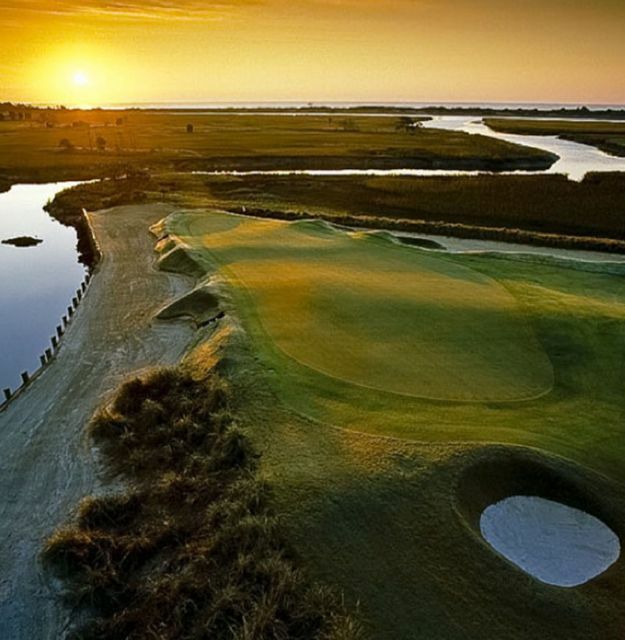 20 on its list of so-called Classic Courses. That sounds impressive until you notice that Golfweek excludes all courses built since 1960 — they have a Top 100 of their own! — and totally ignores golf courses outside the U. S. If I were The Country Club, I’d find a second and challenge Golfweek to a duel.